Sports Chatter with MJD – I'm a sports nerd and I love to write about them. Boston sports, NFL, NBA, College sports, PGA Tour. Whatever it is, I've probably written about it. Can Jordan Spieth find his form? Personally, I think this is the most intriguing story-line headed into the 1st major of the year. We all know the affinity Jordan Spieth has for The Masters. He’s had some of the most unforgettable moments at Augusta over the last several years. From his breakthrough win at 21 years old, to his collapse on the 13th hole in 2016, and his final round 64 (-8 under par) to almost force a playoff last year. But for those who haven’t been paying attention to the tour lately, Spieth has been a disaster the last 9 months. His last top 10 came all the way back in the Open Championship last July. He didn’t finish inside the top 30 in the FedEx Cup rankings last year, meaning he didn’t make it to the Tour Championship which is the final event of the golf season. His best finish to date this year is T24 and he has fallen all the way down to 33rd in the world golf rankings, a far cry from occupying the 3rd spot after last year’s Masters. The reason for his struggles… well Spieth cannot seem to hit his driver with any accuracy anymore. He’s ranked in the 200s on the tour in strokes gained off the tee and he’s continuously missing putts from inside 5 feet. He’s had some good rounds this year but constantly has one blow up hole or round to take him out of contention. Yes you’re reading that right, Spieth’s worst finish in 5 Masters appearances is a T11. I’ve made the mistake of doubting him here before… and I promised myself I won’t make it again (memo to self DON’T FADE SPIETH AT THE MASTERS!). I’m not sure we’ve ever seen a player navigate his way around Augusta like we have with Spieth. There’s something special about this course for him and I think he’s going to be in contention this week. Right now Spieth’s odds sit around 16-1 or 18-1 to win the tournament. Is Rory ready to complete the career Grand Slam? Rory McIlroy is arguably the hottest golfer on the tour right now. He made a concerted effort to play in the United States earlier than he has in the past and to play more on the PGA Tour this year (he hasn’t renewed his European Tour membership yet which is a story in its own). McIlroy started the 2019 calendar year at the Tournament of Champions (the first tournament of the new calendar year), an event he’s had the chance to play in just about every year of his career. This was his first time participating in the TOC. Rory has played in 7 events since the start of the new year and has 7 top 10 finishes including a win at the Players Championship. He’s driving the ball as straight and far as he ever has, ranking 1st on tour in Strokes Gained Off the Tee. His putting has looked improved, and it can be argued that this is the best he’s ever been playing heading into his 5th chance at completing the Career Grand Slam. He’s the odds on favorite (7-1) to receive the green jacket Sunday night. He was 2nd headed into Sunday at last year’s tournament before faltering to a round of +2 and finishing a “disappointing” T5. Rory knows he’s going to be getting questions about whether or not he can complete the Career Grand Slam all week. The real question is can he handle the pressure. I don’t care if you’re Tiger Woods, Rory McIlroy, or MJ DeDonato, if you’re in contention on the back 9 of any golf tournament, never mind The Masters and going for the Career Grand Slam, you’re going to feel the pressure. I expect Rory to be there on Sunday as his length off the tee and around the green game (2 of the most important traits to succeed at this tournament) have always helped him in the past at Augusta. Am I convinced he’ll be able to handle the pressure and slip-on the green jacket… well you’ll have to keep reading to find out. Does Tiger actually have a chance to win his first major since 2008? Now that Tiger got the monkey off his back winning the Tour Championship, his first win on the tour since 2013, his main focus is on winning majors. All the tournaments he’s played in this season, are to gear himself up to compete and win the tournament that means the most to him; The Masters. I’ve said before that I doubted his ability to really compete for a major win ever again. He obviously proved me wrong after his electric performances last year at The Open (T6) and the PGA Championship (Solo 2nd). Augusta is a ball-strikers course. Tiger’s strength these days is his iron game. He’s still one of the best iron players on tour. Woods ranks 3rd in strokes gained approach over the last 50 rounds, amongst all players in the field (87). The biggest question for Woods since the start of last year is constantly his driver/game off the tee. It was a big issue for him last year heading into the Masters and it let him down at times as he finished the tournament at +1 and a tie for 32nd. His driver has been a little more consistent as of late. Woods has gained strokes off the tee in 7 of his last 8 tournaments, a very good sign heading into the week as Strokes Gained Off the Tee is constantly one of the best indicators for success at Augusta. Should Woods drive the ball far and straight this week, he should be in contention come Sunday. Everyone loves Tiger and wants to see him recapture his magic at The Masters. If he does falter this year, this will still be an amazing tournament, so don’t be one of those fair weather golf fans who taps out on the tournament… nothing beats The Masters! Buckle up everyone it’s going to be one helluva week. Feel free to reach out to me for any advice in your pools (if I’m not in it), betting advice, and DraftKings. Hopefully you enjoy the tournament and win a little money while doing it! It has been a wild first two-thirds of the season for the Boston Celtics. They currently sit at 37-21, which is good for a tie at fourth place in the Eastern Conference. 37-21 sounds good, but for anyone who’s been following this team, they know it’s been far from a smooth ride. From the crappy 9-9 start, to home losses to the lowly Knicks, Magic, and Suns, drama between Kyrie Irving and “the young guys”, the list has been never-ending for eye-brow raising moments. The Celtics’ season has been one of the most intriguing story-lines to follow during this NBA Season, albeit for maybe the wrong reasons. Even with all these issues, I don’t believe anyone is realistically counting this team out on making a deep playoff run. There’s still a lot to look forward to as they prepare for the rest of the season. Kyrie Irving, despite all his drama, is in the midst of the best season of his career. Gordon Hayward looks like he may finally be ready to “turn the corner” and the Celtics entered the All-Star break with 2 straight wins, including a win at Philly (without Kyrie). Some people consider the 76ers to be the Eastern Conference favorite after their trade to acquire Tobias Harris. The Celts came back with a solid home-win the next night to illustrate a little consistency after the big Philly win, something they’ve struggled with throughout the season. As we get ready to start the last 2 months of the season, the biggest story-line on the court is clearly Gordon Hayward. Let’s be fair to Gordon, anyone who thought he’d come into the 2018-2019 season and immediately flash his pre-injury athleticism and form would’ve been naive. It was always going to take him time to get back to even 90% of what he once was… never mind 100%. But at times during the season, the frustration with him has been warranted. We’ve seen him drop 30+ points twice. Both games came against the lowly T-Wolves. He’s had other very solid games, but they always seem to occur against bottom of the barrel teams like the Wolves, Cavs, and Knicks. Hayward will go out and have a strong all-around game against one of these lower-echelon teams, then go out the next game and become invisible on the court (e.g. the Warriors game). The biggest hurdle that Celtics fans have been waiting for, other than a full-recovery from his injury (which we know may not happen this year…or ever), is to see him get over his inconsistency and step up his game against higher competition in the NBA. If you paid attention to the last 3 games he played before the break, it should have opened your eyes. The Philly game in particular stands out. In a huge road game, that most people gave the Celtics no chance to win without Kyrie Irving, Hayward went out and lead the Celtics in scoring with 26 points. He shot the ball with extreme confidence, took the ball to the hoop aggressively (getting to the line 7 times) and resembled the Hayward of his pre-injury days. He then went out the next night and had another efficient game shooting 5/8 from the field with 18 points, 8 assists, and 5 boards against the Pistons in 34 minutes, a great sign to see in back-to-back nights. He gave us the two things we’ve been waiting to see, consistency in a stretch of multiple games (he also led the Celtics in scoring in the collapse against the Clippers), and more importantly in my eyes, stepping his game up against maybe the Celtics’ biggest competition in the East (the 76ers). This is the most excited I’ve been about Hayward since his debut in October of 2017. How he continues to progress throughout the rest of the season may not only determine the ceiling for this team, but may also impact the upcoming Free Agency decision that awaits Kyrie this summer. I know I’ve been guilty of the fact that when I think of this team moving forward, I look at Kyrie+ Tatum or Anthony Davis, as the guys we ideally want to build around. I think at times we’ve almost forgot that we brought Gordon Hayward here to be an All-Star and the 2nd or 3rd best player on a team with championship aspirations. Should Hayward continue to get back to his pre-injury form, it may force Kyrie to re-think his outlook on the Celtics future. 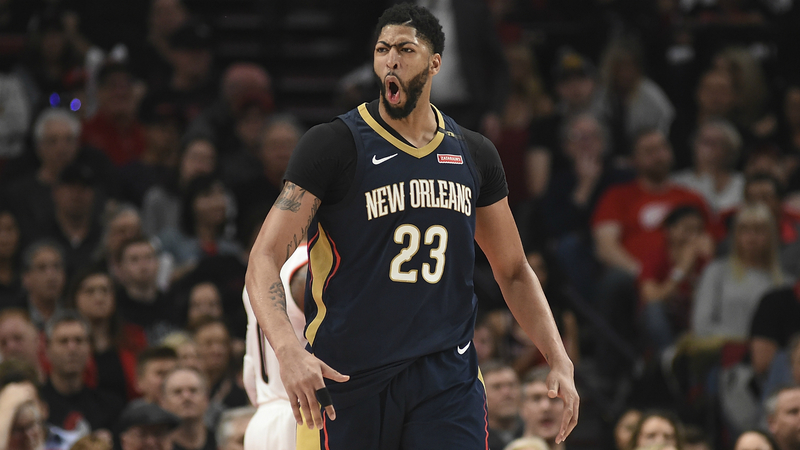 It may also force Danny Ainge and the front-office to re-think their plans in the upcoming off-season for acquiring Anthony Davis. All of a sudden, with a Big 3 centered around Kyrie, a re-born Gordon Hayward, and budding superstar Jayson Tatum, the Celtics original plan prior to the Hayward injury, may have some life to it again…. Why Kyler Murray is making the RIGHT Decision to Play in the NFL over the MLB! In case you missed it, 2018 Heisman Trophy winner and former Oklahoma Quarterback Kyler Murray is entering the 2019 NFL Draft. Why’s this a big deal? Well, Murray was the 9th overall pick of the Oakland A’s in the 2018 MLB Draft. He signed a contract with Oakland which included a $4.66 million signing bonus. Noted in that contract was the fact that Murray could play football for 1 year at Oklahoma (think Billy Beane and the A’s organization is kicking themselves now for allowing this in the contract?). By deciding to enter the NFL draft, he has made the decision that he will be playing in the NFL for years to come, instead of the MLB. He will now have to give up the $4.66 million signing bonus he was going to receive from Oakland. As stated before, Murray was the 9th overall pick in this past year’s MLB Draft. Don’t let that diminish the talent that evaluators have always seen in him on the football field. He was a 5 star QB recruit coming out of high school and committed to Texas A&M. He would end up transferring from A&M to Oklahoma after his freshman year. The important thing to note about his transfer was that he had a concern with the football situation at Texas A&M, not the baseball situation. This should have foreshadowed the events we’ve seen unfold the last few days. Murray had huge shoes to fill at Oklahoma coming into the 2018 season, replacing the most recent Heisman winner and #1 overall pick in the draft – Baker Mayfield. Needless to say, he didn’t disappoint since he won the Heisman, lead Oklahoma to the College Football Playoff, and finished first in several NCAA statistical categories. As the season went on, whispers began about whether Murray should give up baseball and enter the NFL Draft instead. Anonymous scouts started texting insiders that he’d be a 2nd round pick at worst and that his combination of speed, athleticism, and arm would lead him to success as a QB at the pro-level. Then all the rumors started coming out that he was debating entering the NFL Draft and spurning the A’s. Finally, on Monday, those rumors became facts. They’re also saying he would have more success and make more money in baseball than the NFL. Is there some validity to these points? Yes, of course, but there are plenty of pros in choosing the NFL instead. First, Murray can immediately make more money in his first year in the NFL, than he can in the MLB if he’s drafted in the first round. Last year, Lamar Jackson was the last pick of the first round and got a $5 million signing bonus along with a 4-year contract worth $9.47 million guaranteed. If we look at someone like Derwin James, selected at 17th overall, he received a $7.1 million signing bonus and $12.39 guaranteed over 4 years. Finally, let’s look at the 10th overall pick Josh Rosen, who received a signing bonus of about $11 million and $17.84 million guaranteed over 4 years. The draft is still about 3 months away but based on the talk around Murray and the fact that he’s choosing the NFL, it appears that he’ll end up being a first round pick with a chance to make a lot of money. Also, should Murray become a star in the NFL, or even show great potential, he would be rewarded handsomely with a big contract. Take for example everyone’s favorite all-time Patriot not named Tom Brady. Jimmy Garoppolo, who had started a grand total of seven games in his NFL career prior to this season got a contract worth up to $137.5 million over 5 years. The contract paid him $42.6 million this year alone! In regards to people who argue that he should have stayed with baseball, the trip to the big leagues is an absolute grind. I’ve never watched Murray play baseball and while he’s obviously extremely talented to be a top 10 pick in last June’s draft, that by no means ensures he’ll eventually make it to the big leagues one day. Unlike the NBA and NFL, there are plenty of guys who get drafted high in the MLB and never make it to the big leagues or never see much success. Of the list, 6 have played in the MLB. The #1 and #2 overall picks both have never played a game in the big leagues… earning the bust label and not looking like they’ll earn a call-up any time soon. Of the list, how many can the casual baseball fan name… I would say 3 at most and the only one who’s looked like a legit star is Aaron Nola. Murray very well could’ve worked his way up with the A’s and become a star. But, if we ran the above exercise year in and year out, I think it’d surprise many people to learn how few top baseball picks ever make it to the big leagues. The last argument for Murray making the right decision is the fact that baseball is America’s Favorite Past Time. These days it’s all about Sundays in the fall. Everyone is glued to their couches and TVs, watching their favorite NFL team or NFL Red Zone. We all love to eat, sleep and breathe football. If you have the passion to keep on playing America’s favorite sport, how do you give that up and not follow your dreams to get the spotlight as a starting QB in the NFL. Watching Murray throughout the season and seeing this whole situation come to light the last few days, you could tell his heart belongs more to the gridiron than the diamond. P.S. Can the Patriots please find a way to draft him? Author sportschattermjdPosted on January 15, 2019 Tags Kyler Murray, MLB, NFL, NFL DraftLeave a comment on Why Kyler Murray is making the RIGHT Decision to Play in the NFL over the MLB! For Jets and Patriots Fans, their Futures could come down to… Kliff Kingsbury? Will the Jets lose out on another coach to the Patriots and be haunted by it for years? For those of you who don’t know who Kliff Kingsbury is, let me introduce you to him. Kingsbury, 39 years of age, was most recently the head coach at Texas Tech finishing with a record of 35-40 and winning 1 bowl game during the last 5 years at the helm. His tenure with Tech was a mediocre stint at best. Before coaching at Texas Tech, Kingsbury had spent time as an offensive coordinator for Texas A&M and an offensive assistant for Houston. While his numbers as a head coach may not impress, he’s always been known to be what some people consider “a QB whisperer.” It began in his time at Houston when he was given large responsibility for the success of Case Keenum. Keenum finished his career with multiple NCAA records and would go on to be drafted and start in the NFL. In his time as OC at Texas A&M, Kingsbury would go on to coach up the 2012 Heisman Trophy winner and Browns first round pick, Johnny Manziel. Kingsbury won the College Football award for best OC in the country that year. He then became the first coach in NCAA history at a BCS school, to start a true freshman walk-on QB. The name of that quarterback at Texas Tech… Baker Mayfield. Baker would go on to win Big 12 Freshman Offensive Player of the Year in 2013. He would then transfer due to miscommunication with the coaching staff after the season ended. Shortly after, Mayfield would go on to win the Heisman and become a #1 overall draft pick in the NFL. Kingsbury had his next QB lined up for the Raiders of Texas Tech, this time a fella named Patrick Mahomes. Mahomes would play 3 seasons under Kingsbury and win College QB of the year after his junior season. Mahomes is now an MVP candidate with the Chiefs and was the 10th overall pick back in 2017. Kingsbury was not retained by Texas Tech after this past season and recently accepted an OC position with USC. So why could the future of the Jets and Pats come down to Kingsbury? Both teams are interested in hiring him for a coaching position. The Jets are trying to get him in for an interview for their vacant head coach position. The Patriots are rumored to be interested in his services as a replacement for Josh McDaniels, since McDaniels may finally leave New England for a head coach opportunity. Now I’m not saying I think Kingsbury will or won’t have success as an NFL coach, but there’s no denying the success he’s had in developing great QBs over the last several years. He’s also young and innovative on offense, which seems to be the new flavor in hiring coaches around the league (see Sean McVay and Matt Nagy). Finally, he’s been in the NFL before, as he was drafted by the Patriots back in 2003. The Patriots won their second Super Bowl that year. It’s easy to see why the Jets could have interest in him considering they have a young team with a young promising QB in Sam Darnold. The thought of Darnold developing under the young innovative Kingsbury, similar to Jared Goff under McVay and Mitch Tribusky under Matt Nagy, has to be compelling. On the other hand, Kingsbury was largely considered a disappointment at Texas Tech with his 35-40 record and a losing record in the Big 12. Now you’re telling me the Jets are interested in hiring him as their head coach when he’s never coached in the NFL… that sounds like a recipe for disaster.
.@ProFootballTalk said to keep an eye on Kliff Kingsbury to Patriots (OC) if Josh McDaniels leaves. Know this: #Jets want KK. As NFL Insider, Mike Florio reported on Sunday, the NFL is “hot” for Kingsbury. It’s clear that if he leaves USC, he’s going to get a job as an HC or OC in the NFL. Should he leave and get the chance to be the head coach of the Jets, he could be the next young guru in the league, while turning Sam Darnold into an elite QB. But he could also prove to be “out of his league” and simply a poor coaching choice for a desperate team. However, he could get a chance to work with Tom Brady for a few years, if he were to become the Pats OC. He’d also have the opportunity to develop Brady’s replacement, which I won’t lie, gets me a little excited as a fan of the team. Kingsbury is a very interesting name to keep an eye on during the next few weeks, as he has a chance to be a major factor in the Pats and Jets future. Jets fans have already seen the misery Bill Belichick has caused them over the past 20 years. We all know the story there by now. Will the Jets organization get too aggressive, to be sure they don’t lose Kingsbury to the Pats? I’ll be keeping tabs on this situation very closely the next few weeks…and maybe few years. Author sportschattermjdPosted on January 7, 2019 Tags Jets, Kliff Kingsbury, NFL, patriotsLeave a comment on For Jets and Patriots Fans, their Futures could come down to… Kliff Kingsbury? How are LeBron and the new look Lakers going to look? Is this the last run for this group of Warriors, with the impending free agency of Durant and Klay in the summer of 2019? How will the Jimmy Butler saga end? 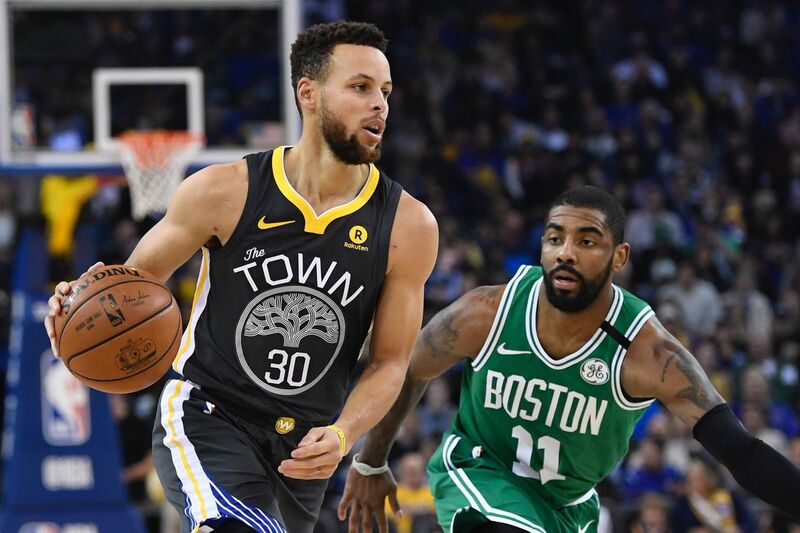 Are the Celtics the biggest threat to the Warriors? Will Kawhi Leonard flourish with the Raptors and embrace Toronto… or is he counting down the days until he can get to LA? I could go on and on with this list. 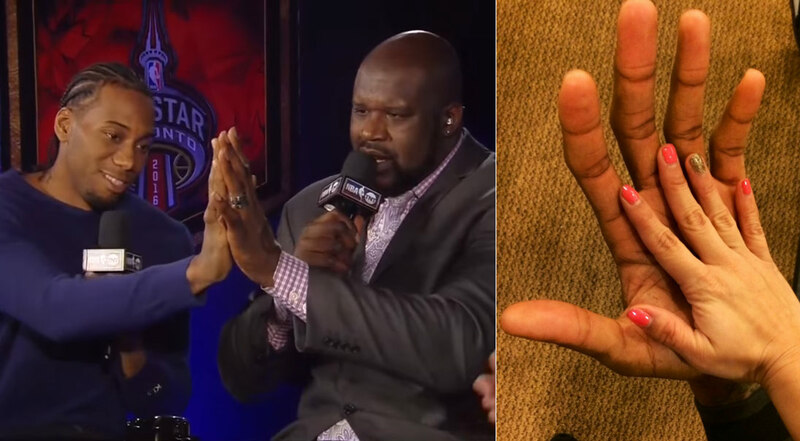 The story-lines in the NBA never end, whether it’s the off-season, regular season, or playoffs. Anthony Davis is a baadddddd man. I’m not sure people around Boston realize just how good he was last year. Davis was 2nd in the league in scoring, 5th in rebounding, 1st in blocks, 15th in steals, 16th in FG percentage, and even in the top 40 in FT percentage. The guy does it all on both sides of the court. The scary thing about Davis is that I think he’s only getting better. With DeMarcus Cousins bolting for Golden State, Davis’ usage and stats should only increase. The Pelicans brought in Julius Randle to replace Cousins. He should be a good compliment to AD. Randle is one of the better passing bigs in the NBA, which should only help to benefit Davis. While Davis is shockingly somehow already going into his 7th NBA season, let’s not forget he doesn’t even turn 26 until March. The sky is the limit for this guy. He’s becoming a better shooter every year. Last year he made a career high 55 3’s and shot a career high 34% from deep. I’ve actually seen a handful of analysts predict that New Orleans’ won’t even make the playoffs. I think Davis is on the verge of a very special season. I envision him essentially carrying the Pelicans into a 5 or 6 seed and blowing away the field for MVP. Some people may not think I’m going out on a major limb here, but you may be surprised to know that Mavs rookie Luka Doncic is the odds on favorite to win ROY, according to Bovada. Collin Sexton and Wendell Carter are names that have been mentioned as dark horses. There are a lot of strong candidates, but I think Ayton will get a lot of opportunity to pad his stats in the Suns run and gun offense, under new coach Igor Kokoskov. If you didn’t watch Ayton in college, the man is a flat out beast. His combination of size, power and athleticism are something you don’t often see in a 7 foot center. People compare him to David Robinson and Shawn Kemp, which is very high praise. Ayton should be able to adapt to the NBA rather quickly. He’ll be starting from day one and the Suns will give him every opportunity to develop throughout the season. Ayton should be a walking double-double in his rookie season and for years to come. I’m expecting him to average around 17 points a game and 10 rebounds. Should the Suns make a push to the playoffs and make it as an 8 seed, which isn’t out of the realm of possibility, it should only increase his ROY chances compared to Luka, Trae Young, Sexton, etc. I’ve long been a fan of Jamaal Murray going back to his days at Kentucky. Murray is bound for a big season headed into his 3rd year in the NBA. He’s always had a smooth stroke from 3 point land. I think Murray will make his mark on the league this year as one of the best young shooters/scorers. Murray just turned 21 in February, so he’s still learning his way around the league. Let’s also not forget that at Kentucky he played Shooting Guard. Since being drafted by the Nuggets he’s been asked to take on Point Guard responsibilities. Anyone who plays the game of basketball knows how much of a transition that is. A lot of responsibility comes with being the floor general for a team. At this time, Murray’s defense is still leaving a lot to be desired. Should he improve on that end of the court, it would only help strengthen his case to win the award this year. If he can continue to make strides as a play-maker, combined with his shooting and scoring ability, then Murray should be one of the finalists for MIP. The Pacers were a great story last year. Everyone destroyed them for their Paul George trade, but it turned out to be a great deal for them. They got Victor Oladipo who was an All-Star and won Most Improved Player. They also received Domantas Sabonis who I think will now go on to win 6th Man of the Year in the ’18-’19 season. Sabonis will come off the bench with Tyreke Evans (who could also be a candidate for 6th Man of the Year). Tyreke showed last year that he’s still a very valuable player. Evans and Sabonis will feed off each other to form one of the best 1-2 combos in the league, off the bench. Sabonis is a very strong player in the pick & roll and this is a major strength of Evans as well. Sabonis is also a great rebounder and an above average passer (especially for a 6’11 Power Forward/Center). He has a good feel for the game and is headed into his 3rd season in the league, which is a good time for players to begin to mature and fully breakout. I’m going to make this one simple. When healthy, Kawhi, “the Claw”, Leonard is the best defender in the NBA. People may have forgotten after his injury prone 2017-2018 season, but he will quickly refresh the memory of fans in Toronto. He’s won the award twice (2015 and 2016). Toronto ranked 7th in defensive efficiency last year. Trading Demar DeRozan for Kawhi was the only big move they made in the off-season. With the arrival of Kawhi, I expect them to jump into the top 5 this season… in large part due to Leonard. The way he changes a game on the defensive end of the floor is special. He can fill up the stat sheet with steals, blocks, and defensive rebounds. Then he can also be asked to defend a quick guard, stud wing scorer, or big man who roams around the 3 point line or can play in the post. There have not been many guys who have played in this league, who can defend just about every position on the court like Leonard. Kawhi… how do you feel when people say Rudy Gobert or Draymond Green is the best defender in the league now? Last but not least… I’m predicting the most common NBA Finals match-up. But unlike most people, I think my hometown Celtics will dethrone the Warriors in a classic series. The Celtics match-up defensively with Golden State as well as anybody in the NBA. They have the athleticism and length to not get pick and rolled to death into bad-switches (which the Warriors run on a lot of teams). Jayson Tatum, Jaylen Brown, Gordon Hayward, Marcus Morris, Marucs Smart and Al Horford are all very good defenders. Brown and Tatum made serious strides defensively throughout the second half of last season and playoffs. They should only improve with another year under Brad Stevens. The Celtics have as good a bench as any team in the league. Terry Rozier, Marcus Morris, Marcus Smart and Aaron Baynes could arguably be starting for a handful of teams around the league. I think the Celtics have a stronger bench than the Warriors. Both teams have 2 major questions heading into the season… and they probably won’t be answered until the second half of the season. For the Celtics, will Gordon Hayward return to his All-Star form after last years injury? Brad Stevens has already said Hayward will be limited to 25-30 minutes at the start of the season. I don’t think anybody is expecting Hayward to come out guns blazing in the start of the season. Everyone knows that it’s going to take some time for him to be back to his former All-Star self, but will it take him until February or will it take him a full year? The Warriors on the other hand signed DeMarcus “Boogie” Cousins this off-season. Cousins has made 4 straight All-Star teams. The question with Cousins is never his talent or skill. Instead, it’s his work ethic and character. He’s also coming off a torn achilles and will most likely miss the first few months of the season. With Cousins we need to see first, if he’s healthy when he returns from injury and second, will he fit in well with the Warriors or will he prove to be a cancer in the locker room (like we’ve seen in years past)? A healthy and engaged Cousins will make the Warriors next to impossible to beat, but I don’t think we’re going to see both of those traits this year. One item to keep a close eye on throughout the year is who finishes with the better record. Home court advantage is as big in the NBA as any sport. Oracle Arena (home of the Warriors) is one of the most electric home court advantages in any sport as well. If the Celtics can get to the Finals and have home court advantage in the series, it will make me feel a lot better about this prediction. It should be another amazing year in the association. Enjoy it… and GO CELTS!!! !